It's time for another Squidboards update! Splatoon launches next week, so the Squidboards staff is back in the kitchen getting ready for the big day. Hopefully you all are too! Heading into the final weekend before the splatting begins, we've got some reminders and hot news for lunch today. I'm sure many of you are getting ready for all the paint-splattering madness this weekend, so I'll be sure to keep this nice and concise. We've got some shuffling to do here, so take some notes if you must. First, Splat Zone will lose the Guides board. Never fear, Inklings! The Guides board will be moving to Booyah Base to join Maps and Weapons. Quite a way to start the day, huh? 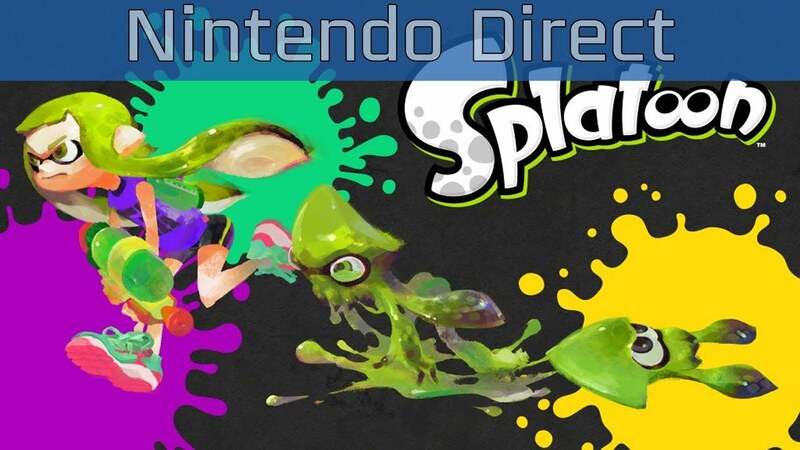 We got a brand new, hot out of the fryer, Nintendo Direct dedicated solely to Splatoon, which hits shelves this month! So, of course we needed some new info as the game approaches as rapidly as it has been. For those of you who caught the Direct, we'd love to see your thoughts and discussion all across Squidboards. However, for those of you who may have missed some or all of the Direct, you've come to the right place. It's been quite the day. With the official launch of the full Squidboards site, it's great to see the culmination of Squidboards happening before my very eyes. Last year when I was in the Smash Bros. Invitational, I didn't even know what Splatoon was. Hadn't heard a single bit of information about it. But when I got to the E3 show floor, finally getting the game in my hands for the first time, the game felt oddly familiar. Like I had played it before. But obviously I hadn't.